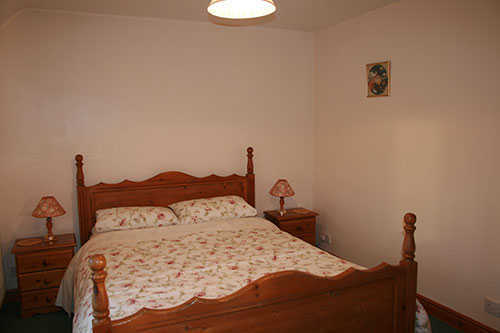 Granary Cottage has an idyllic view as it overlooks the River Thames and open fields. 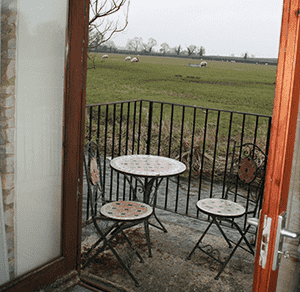 Furthermore, the holiday cottage allows you to make the most of these wonderful views with its French windows from the lounge opening onto the balcony, with table and chairs. 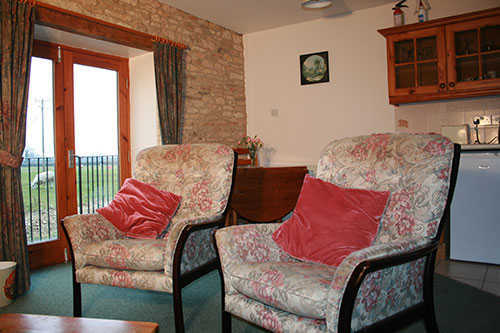 Here you can have your breakfast, watch the wildlife on the river or simple sit back and enjoy the scenery. 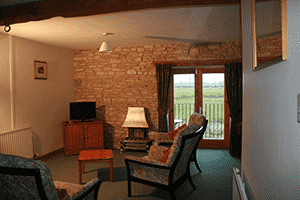 Ground floor which is open plan with original beams and stone walls. Lounge with a colour T.V and DVD player. 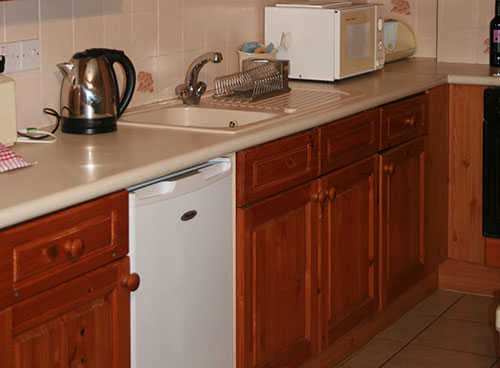 Fitted kitchen which contains a fridge, microwave and electric cookers. A spacious bedroom with 5′ double bed, walk in wardrobe and connecting door to a well appointed bathroom with over bath shower and shaver point. Loved it here in the ‘Granary’. A delight to watch the frolics of the lambs and the family of baby ducklings on the river directly in front of our lounge window. Accommodation cosy and clean. Cirencester well worth a visit. Hope to be back. Thank you Alison for the lovely flowers and the hospitality tray.